03.07.1980. Wimbledon, London England. 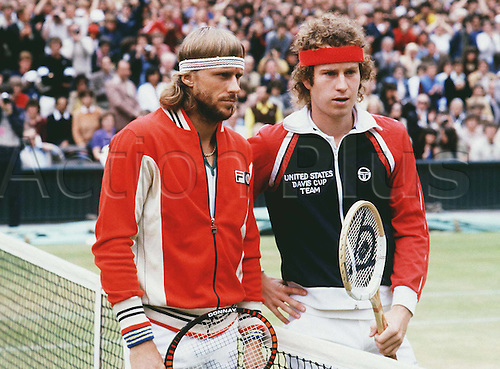 John McEnroe (USA) and Bjorn Borg (SWE) pose together on court at the Wimbledon 1980 singles final prior to Borg's win over McEnroe, All England Championships.